Amazing valley views from this 3BD 3BA on nearly 12 acres! Inviting & spacious, the open floor plan includes a large living room, dining room & kitchen with breakfast bar. New stainless appliances, fresh paint, flooring & carpet throughout. Master bedroom has walk in closet & private bath. Main floor laundry. Walk out lower level. 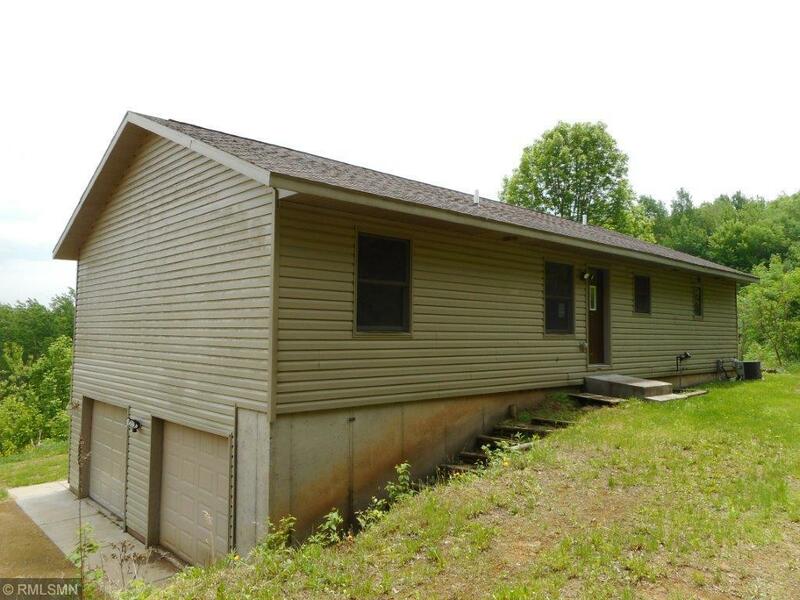 Wooded & private, the land is excellent for hunting & other outdoor recreation. Centrally located between two State highways & North of Menomonie for an easy commute. Listing courtesy of Century 21 Affiliated. This home sale information is not an appraisal, competitive or comparative market analysis, CMA or home valuation. Listing broker has attempted to offer accurate data, but buyers are advised to confirm all items.